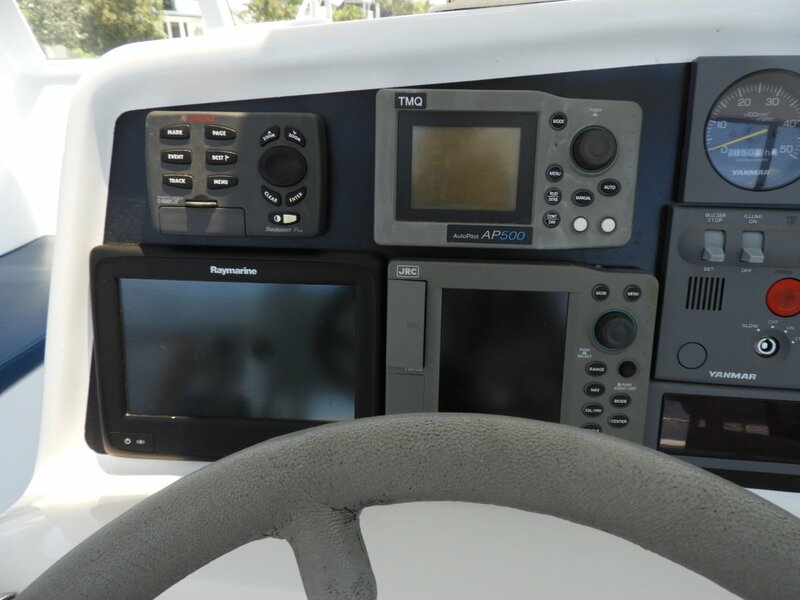 Rare Find!! 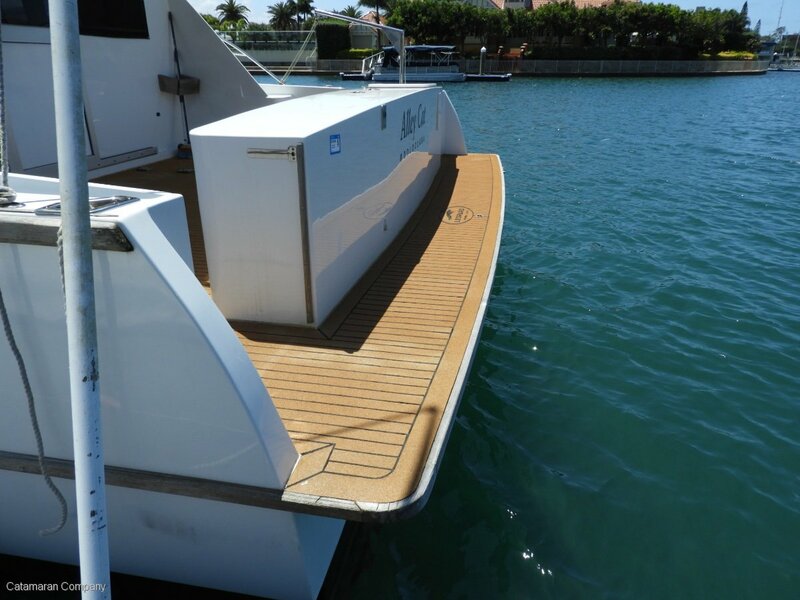 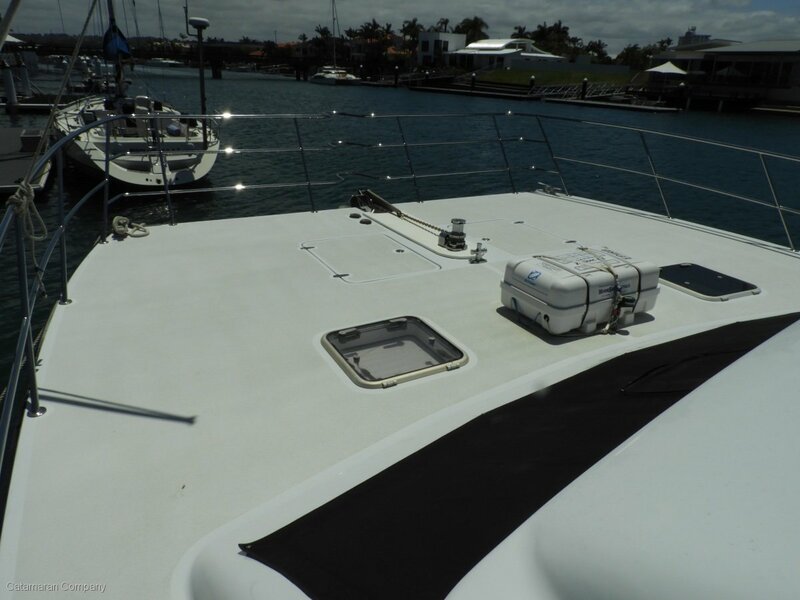 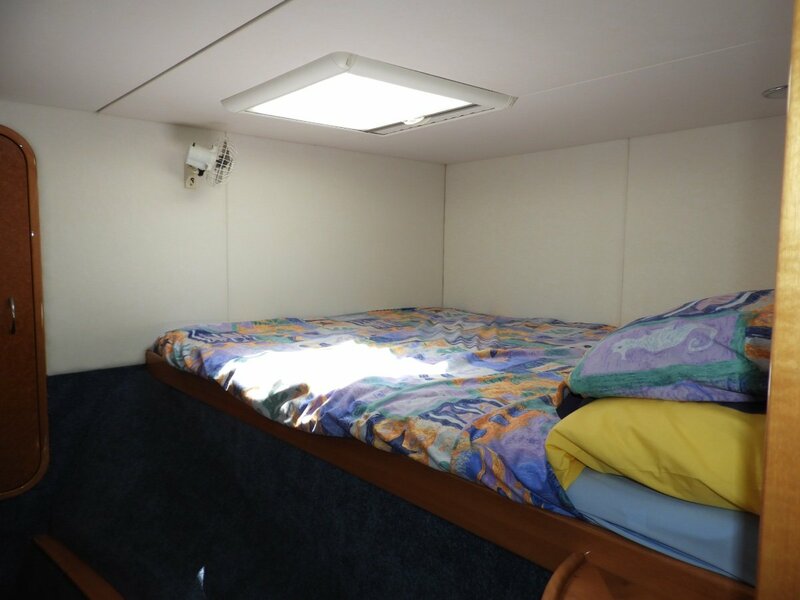 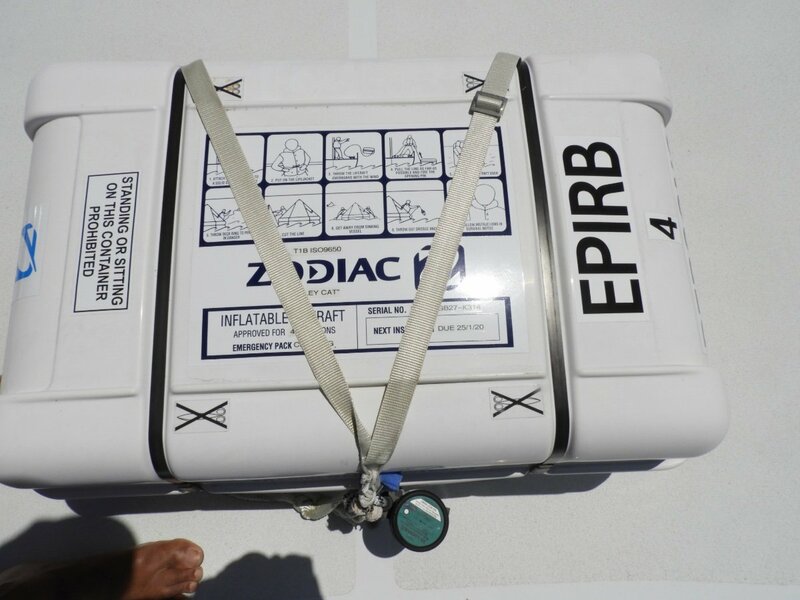 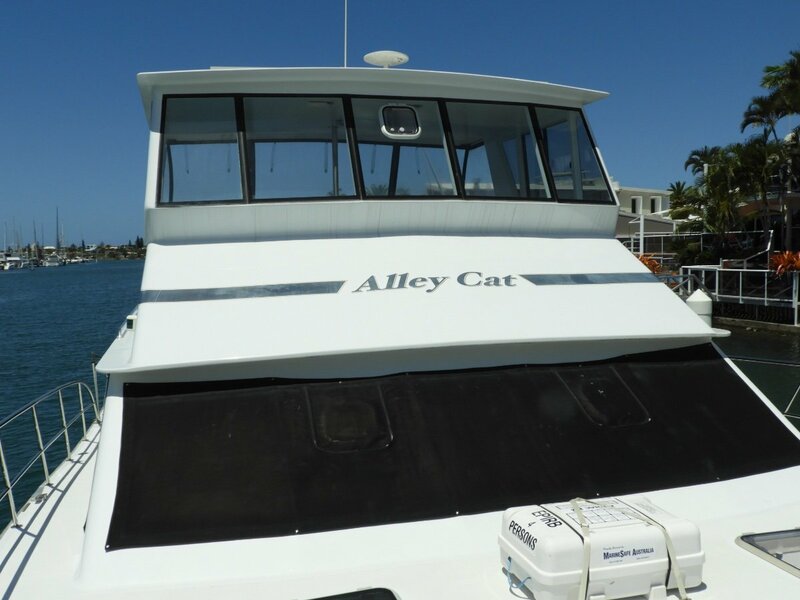 One fussy owner since new, designed and built by P. Brady this fuel efficient power catamaran is the logical step up from a Scimitar or a Voyager PC. 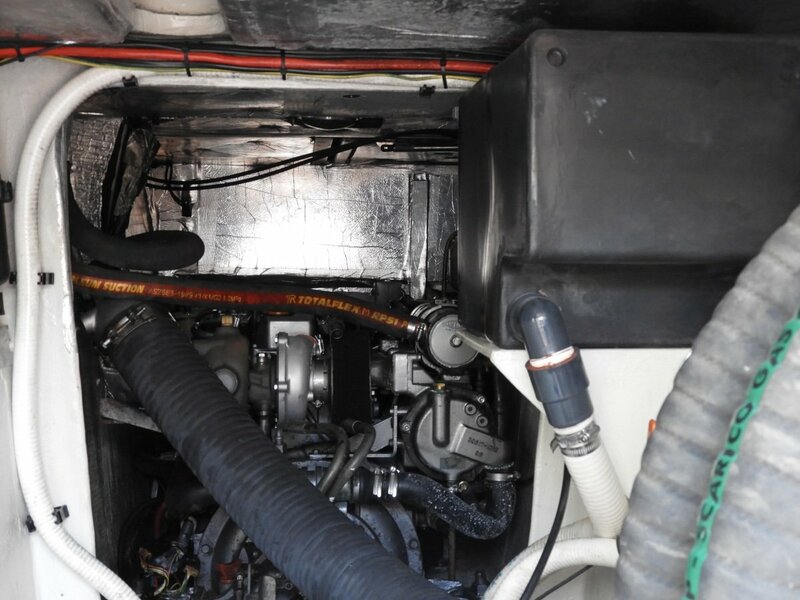 More space, longer range, yet just as economical with her twin 140 hp Yanmar diesels with which she cruises at 16 kts using under 35 ltr/hr. 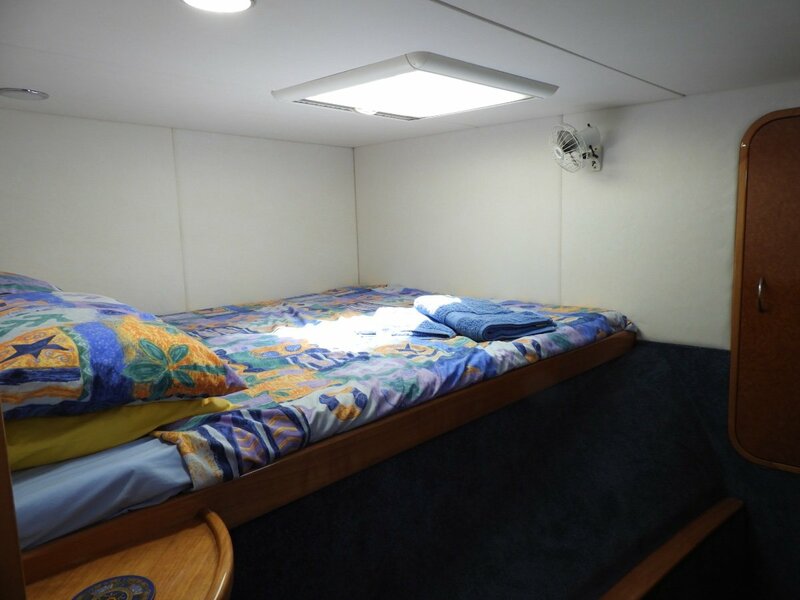 Very low hrs at 850hrs. 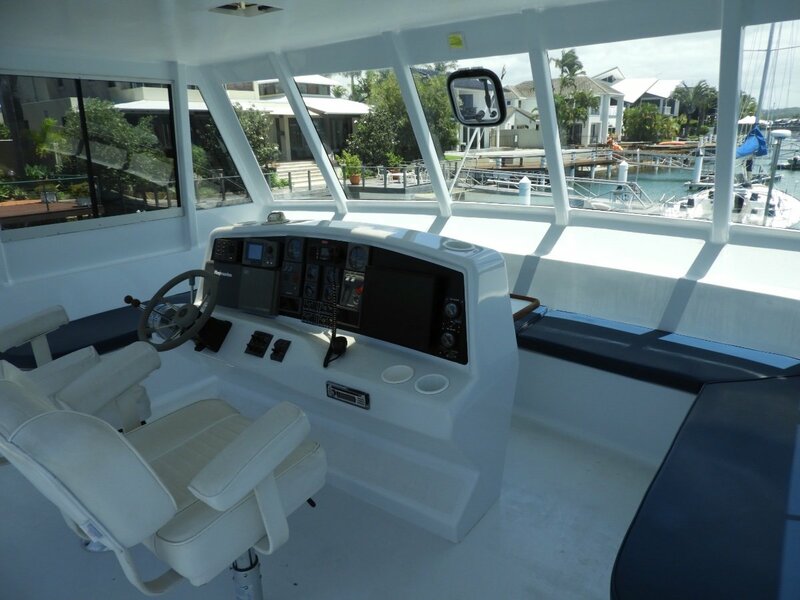 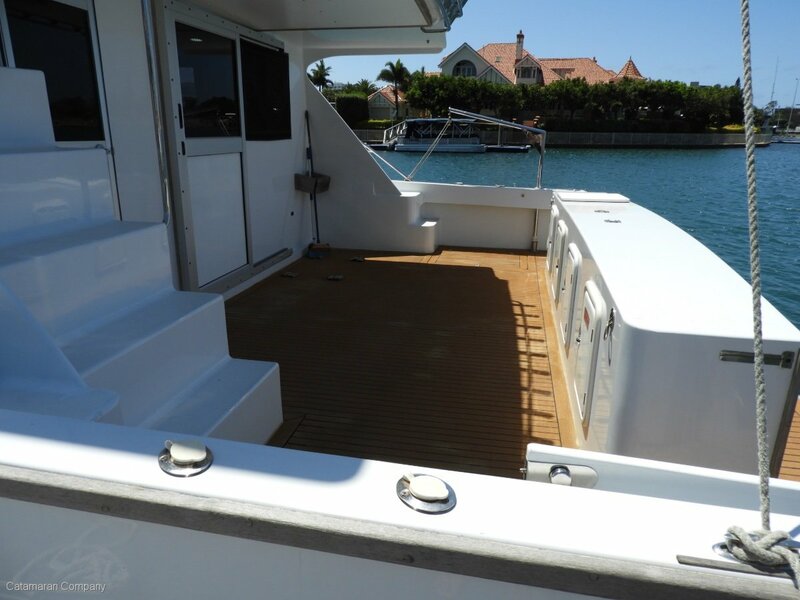 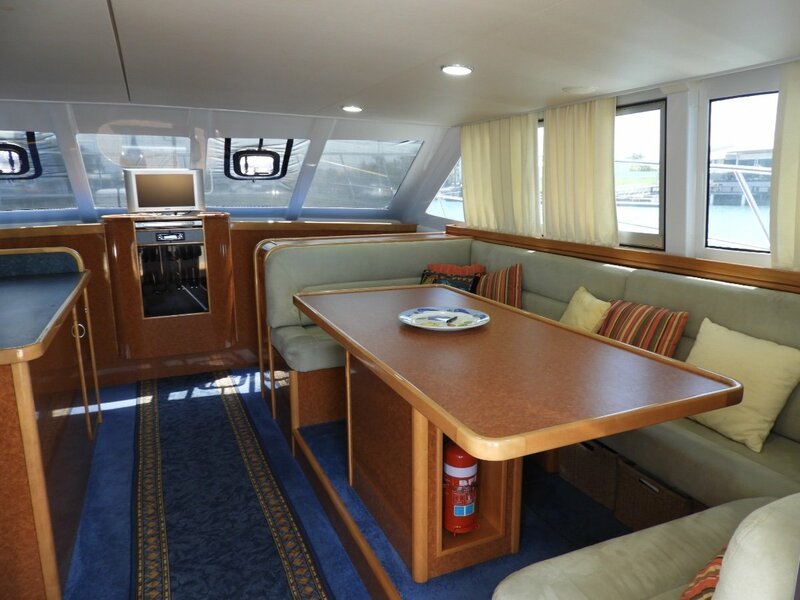 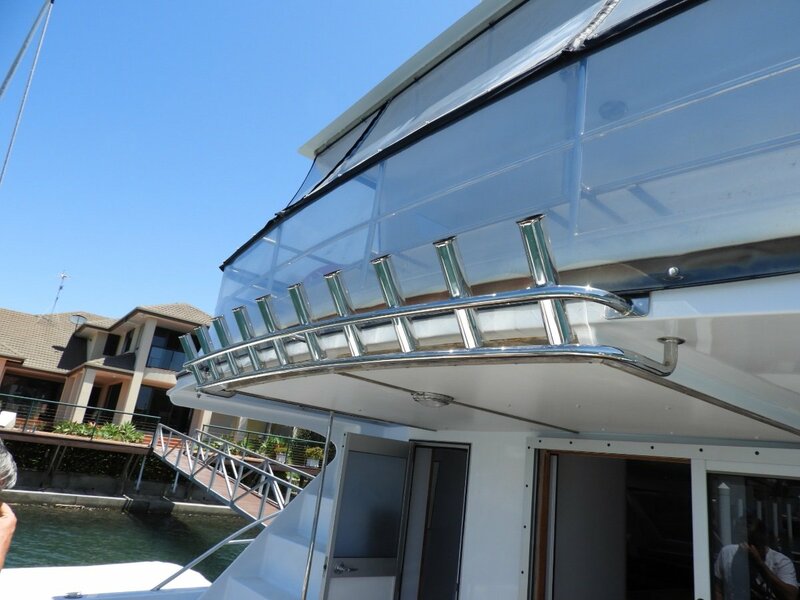 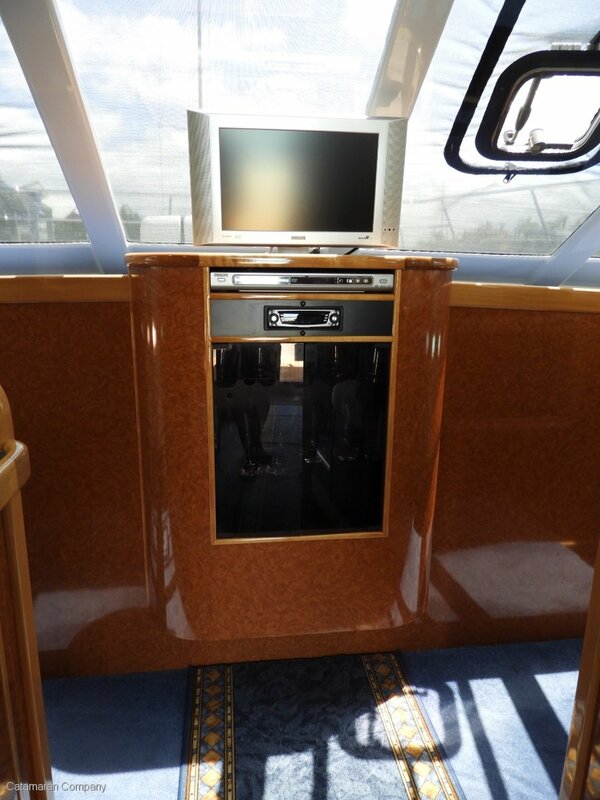 Spacious cockpit for fishing or entertaining, fully enclosed flybridge with hardtop, sliding side windows and zip open clears aft for excellent ventilation. 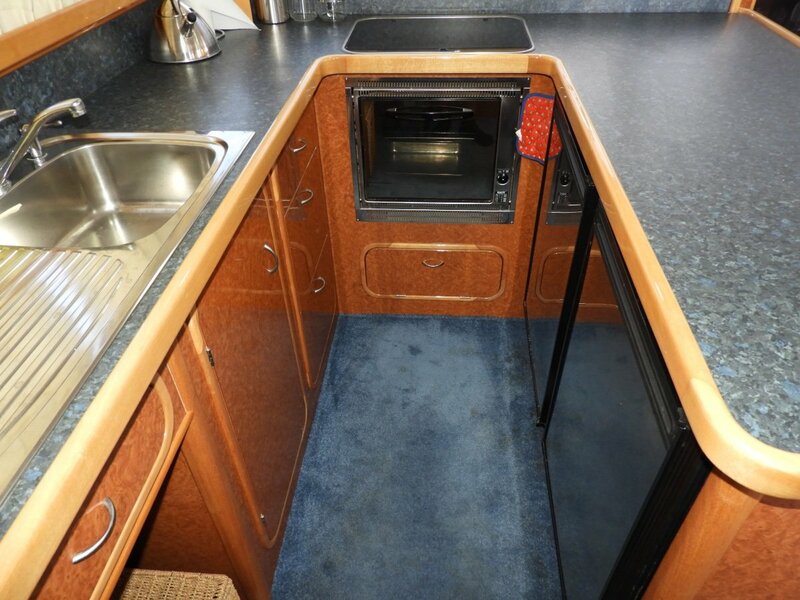 Bathroom with seperate shower port side in the cockpit, saloon u-shaped settee seats 6 + with well equipped U- shaped galley and plenty of refrigeration opposite. 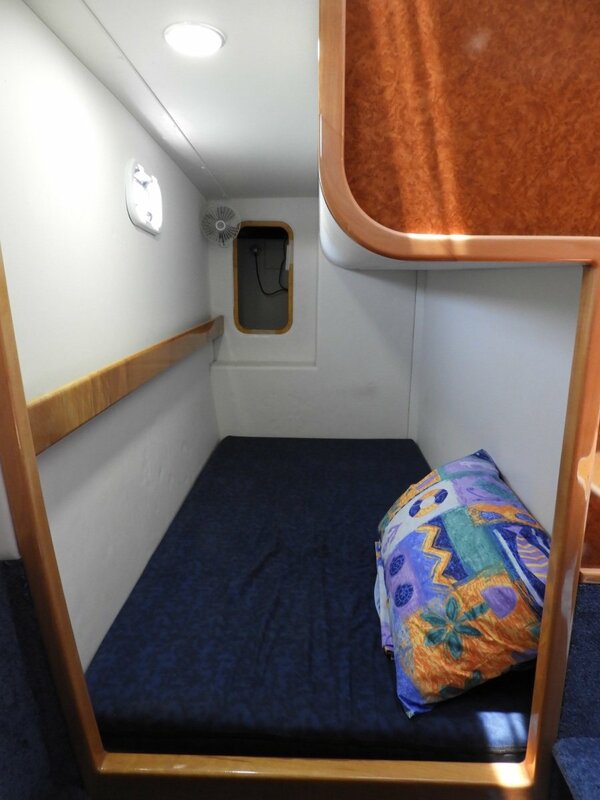 Two double cabins forward and a single amidships to starboard together sleep. 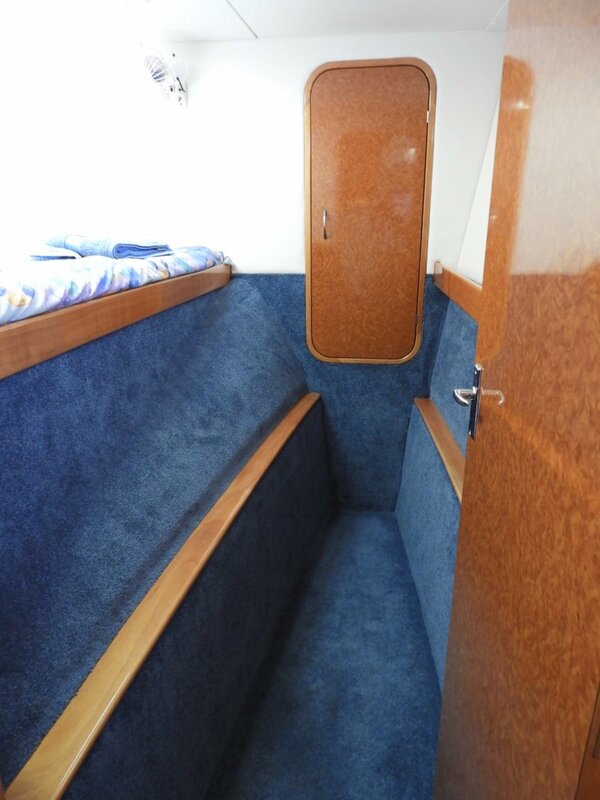 Craftsman inetrior timber finishes are in as new condition. 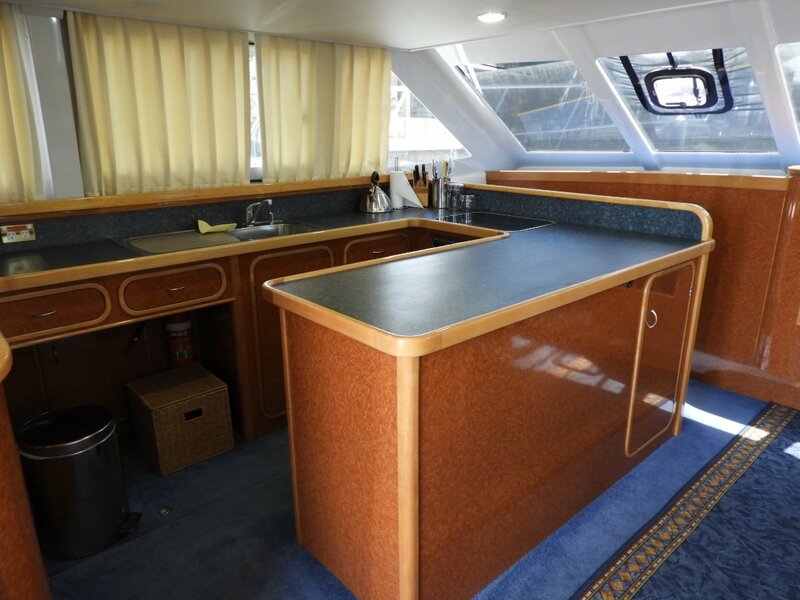 U- shaped galley up to port with heaps for bench top and storage space. 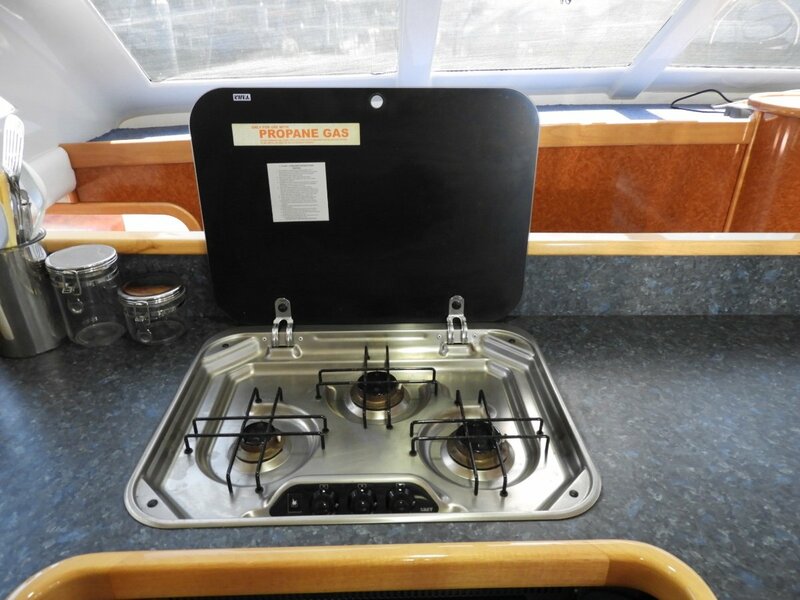 Three burner Smev gas stove and oven. 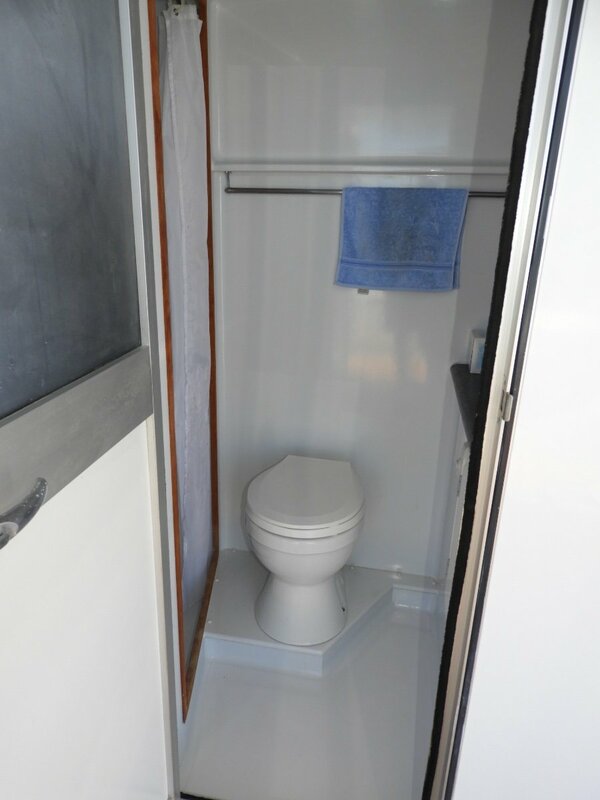 Bathroom is cockpit accessed and has a seperate shower. 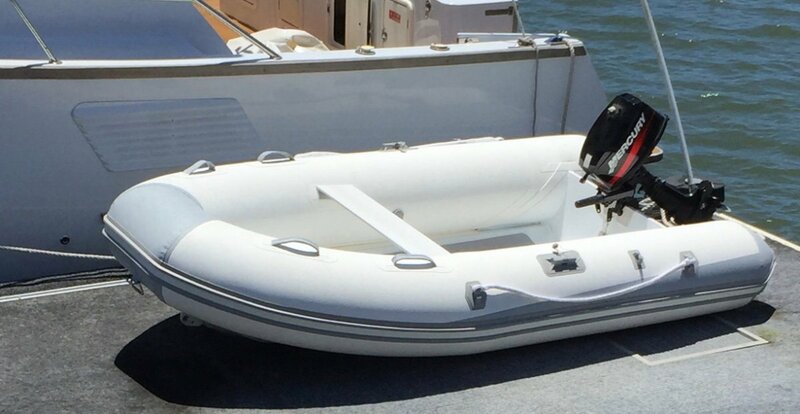 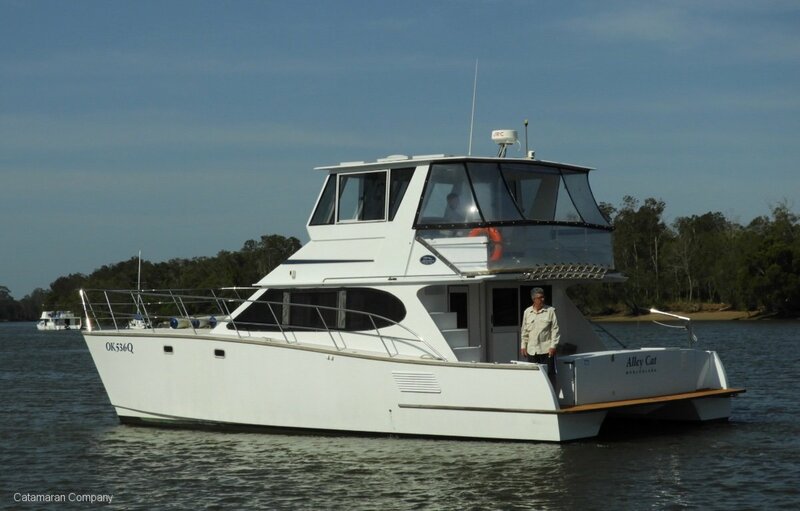 This rare find presents like a five year old vessel and has mainly been used by her fussy owner for recreational bottom fishing, at his favourite fishing spots offhsore, so there is an additional freezer in the cockpit. 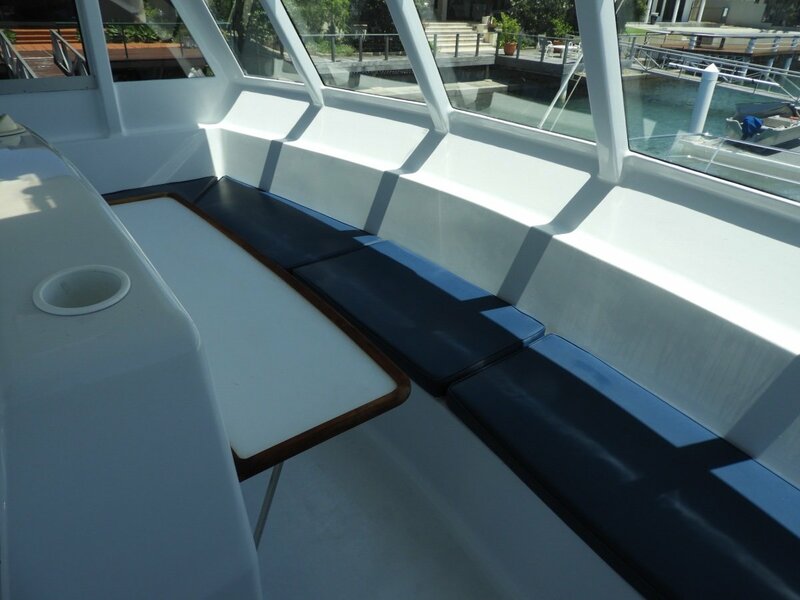 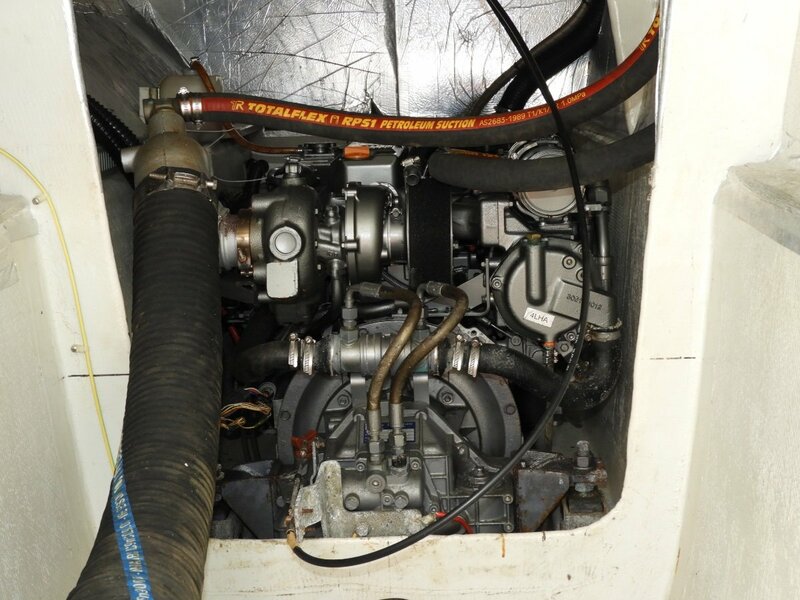 The interior is unmarked, engines regularly serviced by yanmar techs, the enclosed flybridge with glass panelled front non opening panels, side opening windows and roll up clears aft. 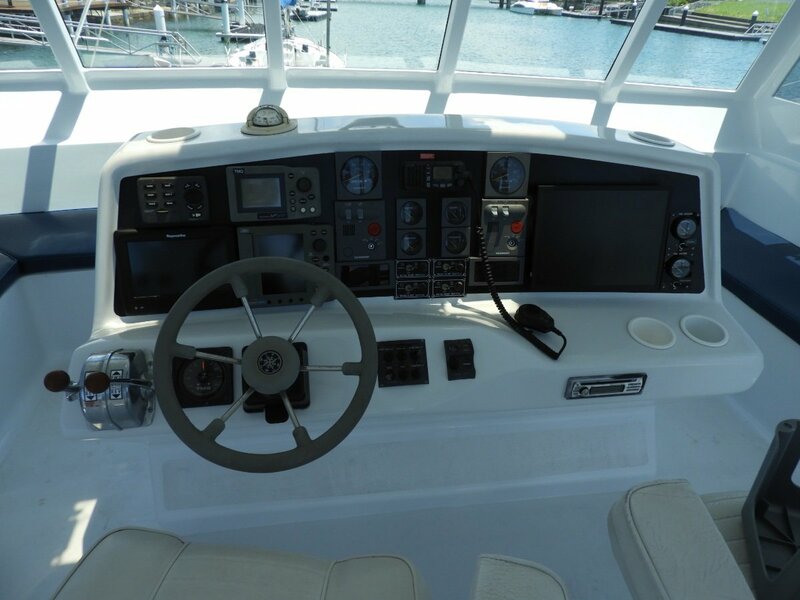 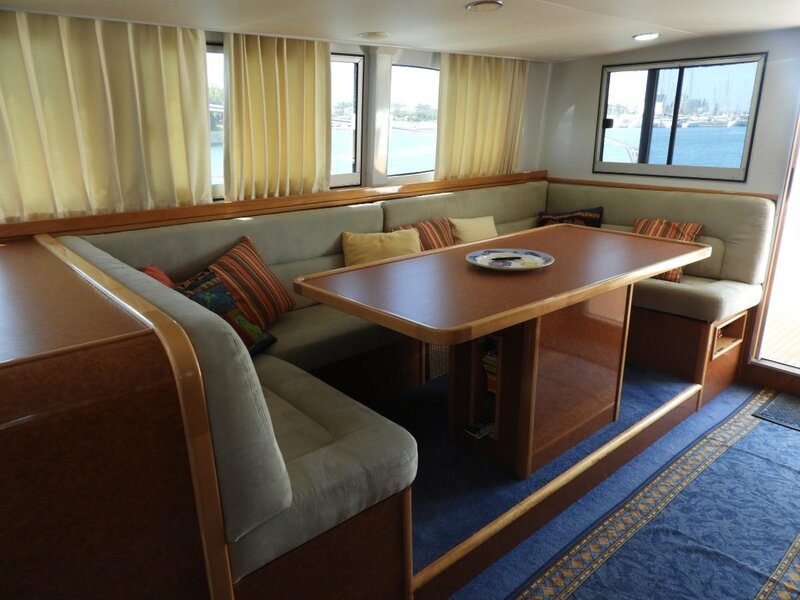 Well equipped central steering station with twin helm chairs and bench seating for 10 +... 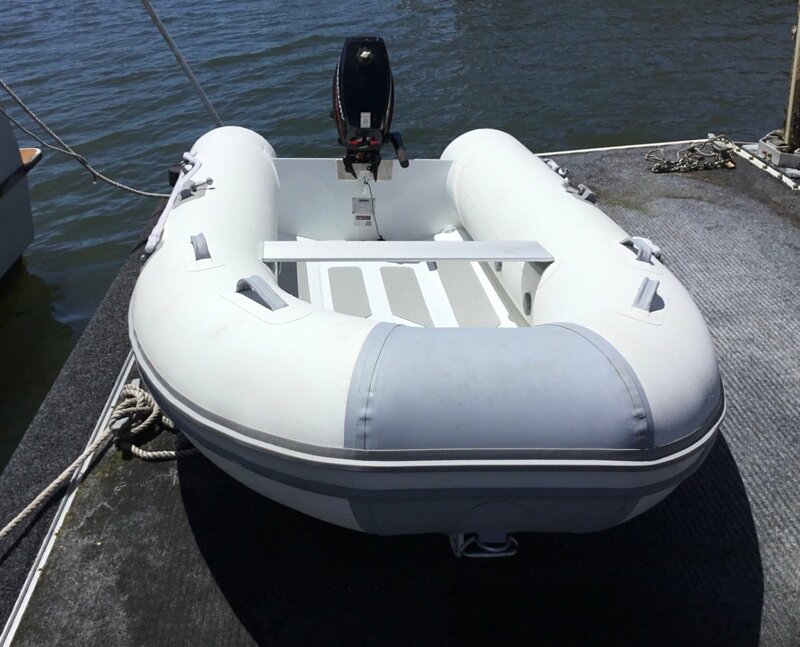 Overall condition of this vessel can only be described as excellent. 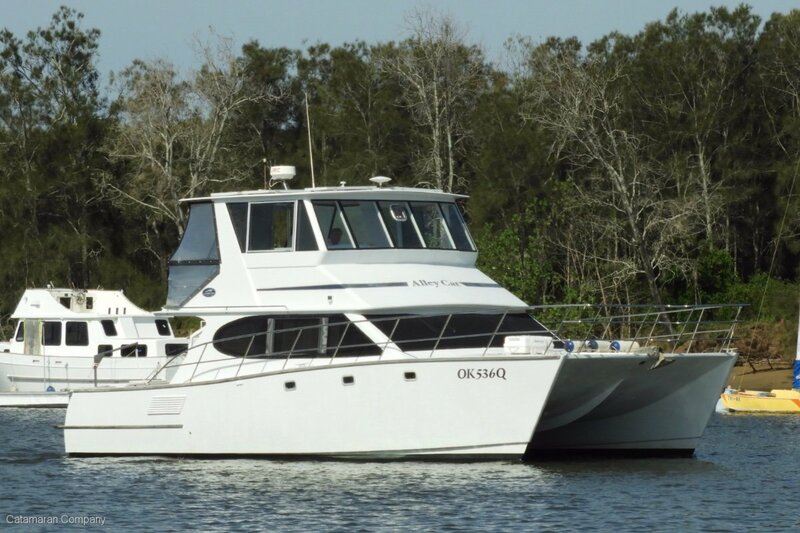 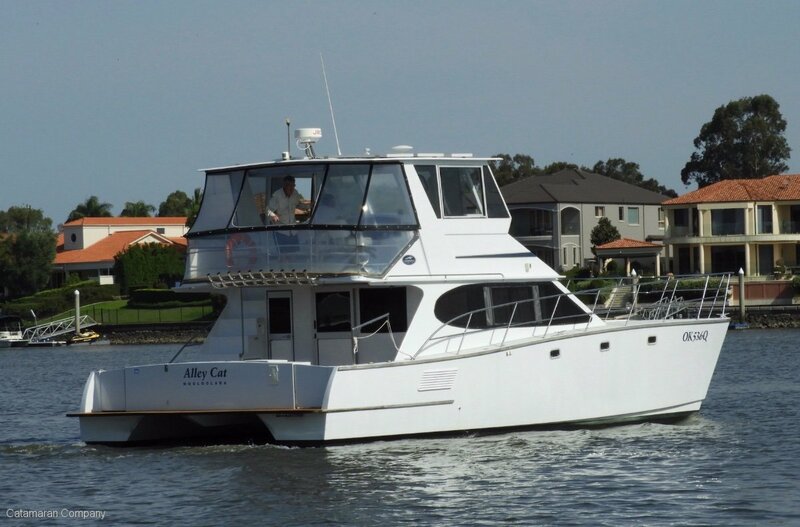 Priced to meet the market, Alley Cat is perfect for cruising / fishing the east coast from Tassie to the Kimberlie.